Dressing up as Mrs. Claus is a fantastic way for a young girl to spread holiday cheer no matter what time of year it is. While this Christmas-themed costume will shine brightest in December, your little one can dress the part of Santa’s helper for Halloween and all your holiday parties. This adorable dress has a velvety plush bodice with faux fur and fancy trim that would make this dress fit in at a Christmas concert. The mesh skirt has three tiers to add a whimsical quality. The black accent belt, which is attached to the skirt, adds the perfect Santa touch to the red dress. To top off the ensemble, a headband with an attached mini Santa hat and candy cane striped leg warmers are included. 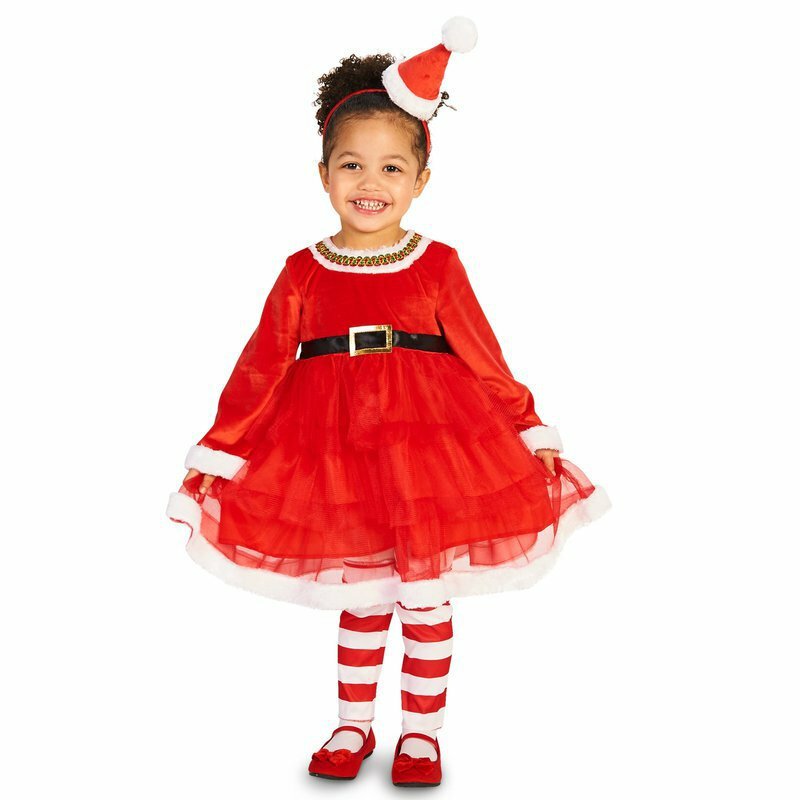 Your little miss will bring cheer to all for the holidays. 13.1" x 11.8" x 2.95"